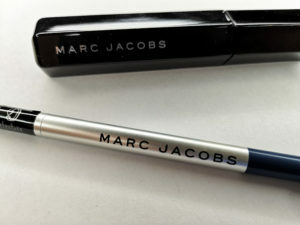 Marc Jacobs Beauty launched in the UK in 2016 and has become a favourite amongst makeup artists and bloggers. But just how good is the range? I was gifted some sample sizes of their bestsellers for a trial run. This creamy gel pencil is available in 22 shades in a mixture of shimmers and mattes. The gel pencil is different from others on the market in that it also contains skin hydrators vitamin E and rosehip seed oil. My gifted sample was in classic black, and I then went back and also purchased the Overnight shade which is a versatile, wear-everywhere midnight blue. When applied, there is a short amount of time to smudge and smoke out the gel pigment before it sets and becomes budge-proof and water-resistant. The longest I’ve worn it was 10 hours but there was absolutely no smudging, melting or smearing in that time. The brand claim 12 hour wear and given my experience, I think it’s definitely achievable. I’m quite picky with my mascara criteria. I want length, lash separation, volume, soft-touch lashes, no brittleness, smudge-proof, budge-proof, water-resistant and an intense black. This ticks all those boxes, and while it’s not waterproof, it is pretty budge-proof even after teary eyes or a spell in the rain. 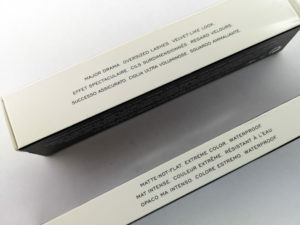 The mascara is buildable without clumping. The trick is to layer up while the mascara is wet and you get false lash thickness without clumps or flakiness when dry. Ever since I tried the sample size I was gifted, I was in love with it. This is on the premium side but comes in at a fiver less than my preferred Dior Show mascara. I don’t wear mascara daily and so wouldn’t get through a tube in 3 months before it expires. I love that they offer mini sizes and can easily see myself buying the minis at £11 and getting good mileage from it. I have tried the Under(cover) Perfecting Coconut Face Primer in store and loved it underneath my regular foundation. I’d like to try a larger sample of the primer for a few days to really give it a test run. The skin primer feels like premium skincare rather than a primer. I would love to try the undereye primer next. The foundation issue is a big deal for me though. Not good enough Marc Jacobs, not by a long shot. The gel eye crayons are amazing. My previous ride or die were the Urban Decay Glide On eye pencils and Daniel Sandler Velvet eye pencils, which are both gel based and pretty unstoppable. The Marc Jacobs gel pencils take the best of both. Creamy texture like Urban Decay, with ease of application and budge-proof features of Daniel Sandler. 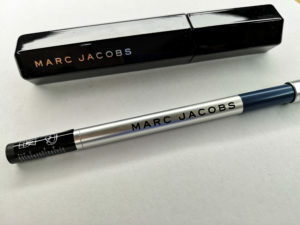 After a year of using it, my Marc Jacobs Highliner Gel Eye Crayon Eyeliners are the only ones I reach for. The Velvet Noir mascara is now my ride or die mascara. It’s falsies in a tube. I get length, separation, volume, soft-touch lashes, smudge-proof, budge-proof, and intensity, with a buildable formula that doesn’t clump. What more could I ask for. Motherforking brilliant. I absolutely love both products that I was gifted. These have had a really good trial run and I did repurchase full sizes of both. 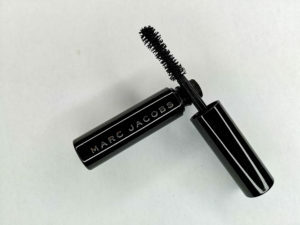 Have you tried anything from the Marc Jacobs range? What were your thoughts? Hit me up on the socials! 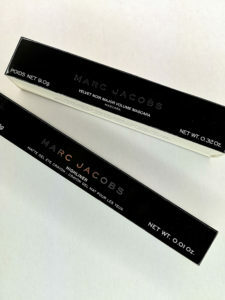 Leave a reply on "First impressions: Marc Jacobs Beauty #gifted"